Uninsured Motorists Accidents in Portland: Do Insurance Companies Share Blame? Our Portland, OR accident lawyers know that everyone in Oregon and everyone throughout the United States is required to have auto insurance if they wish to drive a car. Having auto insurance protects the driver from the risk of financial loss, but this isn’t the major reason why auto insurance is required. Insurance is mandated because injured victims who are hurt in a car accident should not have to cope with out-of-pocket costs if the accident was someone else’s fault. Car insurance pays out claims to injured victims if the insured driver was to blame for the crash. The compensation a victim receives should pay all his medical bills for injuries arising from the wreck. The compensation should also cover other losses such as pain and suffering. 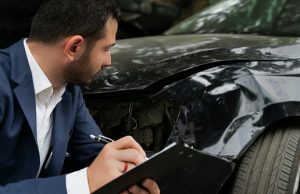 This compensation is essential for injured victims, and when someone causes a crash and has no insurance, the injured victim is left trying to make an uninsured motorist claim and may not receive as much in compensation as he otherwise would have, depending on the level of uninsured motorist coverage available. Unfortunately, although it is better for everyone when all drivers are insured, insurance companies may actually be setting prices in such a way that lower-income drivers are all-but priced out of the market. Recently, the executive director of the Consumer Federation of America warned that “since most Americans need a car and almost all states require the purchase of auto insurance, many lower-income workers are faced with the choice of paying… high, and often unaffordable prices, or breaking the law by driving without insurance.” This warning is not an idle threat, as CFA data shows that as many as a quarter to a third of drivers with household incomes under $36,000 are driving without insurance. The CFA’s recent warning, however, was prompted by a new study. The study involved asking major insurance carriers throughout the United States to provide quotes for insurance. All variables were kept the same with the exception of information about income, education and/or employment. The purpose of this study was to find out whether these criteria were a factor in pricing. The results showed not only that income and education were considered by insurance companies, but also that insurers were charging lower income people much more. In fact, for a factory worker with a high-school diploma but no college to buy insurance from Geico might cost as much as 45 percent more in premiums in some markets than a college-educated plant manager would pay for the same insurance. Progressive Insurance charged the high-school educated factory worker as much as 33 percent more than a plant manager with a college degree. Liberty Mutual charged high school grads 13 percent more than college grads, and Farmers charged those who didn’t work for the government or hold a “professional” position as much as five percent more. Unfortunately, these business practices may be hurting those who can least afford to pay for higher insurance costs. If the lower-income individuals then decide to go without insurance, this hurts every driver on the road.